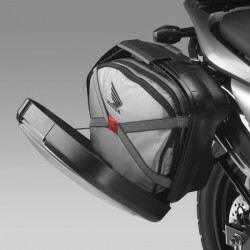 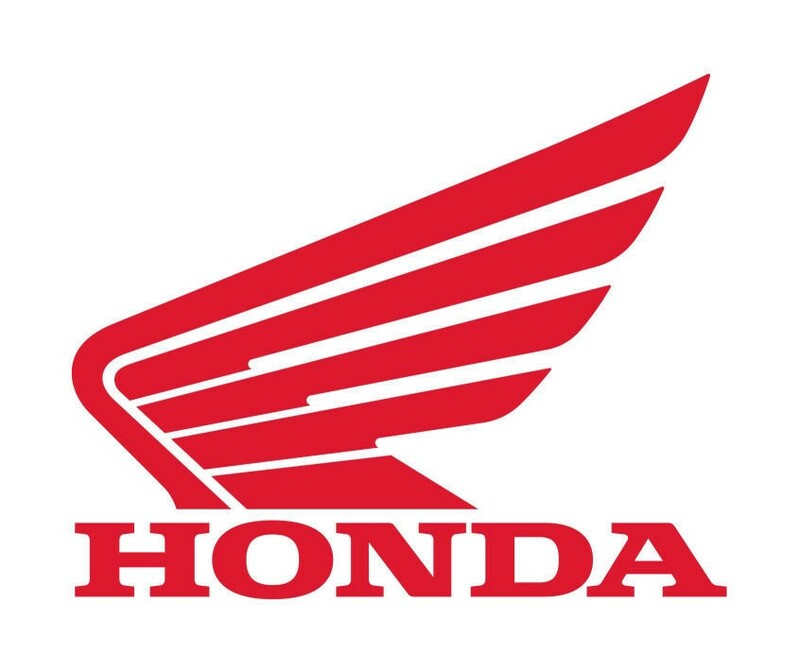 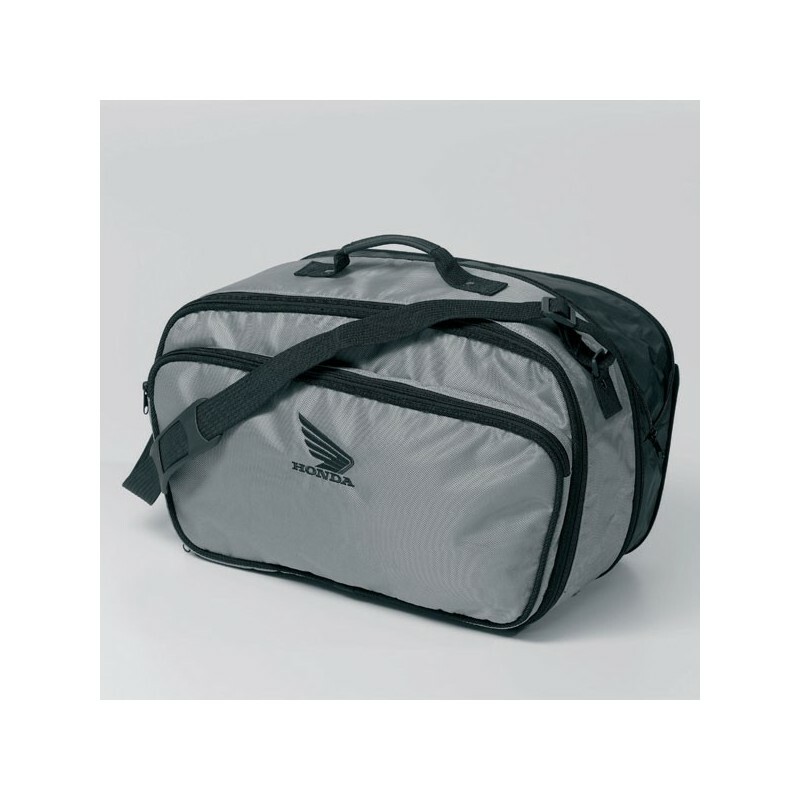 Honda 29L Side Hardbag Bags. 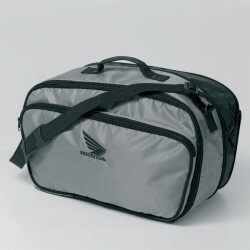 One front pocket, handle grip and shoulder strap. 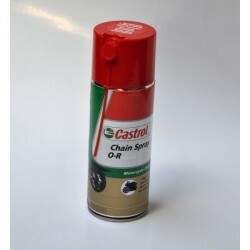 Can be black or silver depending on season (but we can't ask for a specific color).